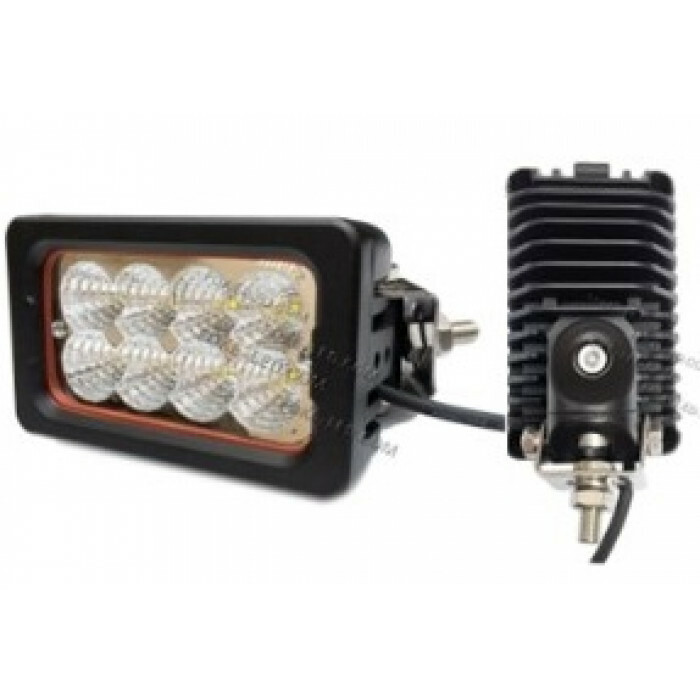 Quality manufactured oblong rectangular 40 watt led work light lamp giving excellent distance and spread of light. This light has an interchangable..
Quality manufactured oblong rectangular 40 watt led work light lamp giving excellent distance and spread of light. 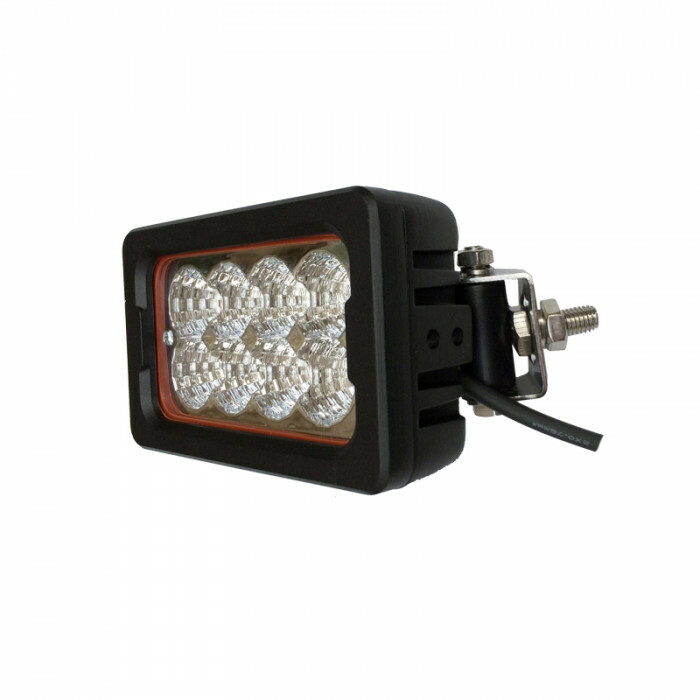 This light has an interchangable mounting bracket position and one you can rotate 360 degrees making the mounting bracket capable of being side or top/bottom mounted. Perfect for upgrading many tractors, foragers and combines. 3600 lumen output and gives a really crisp clear light too. 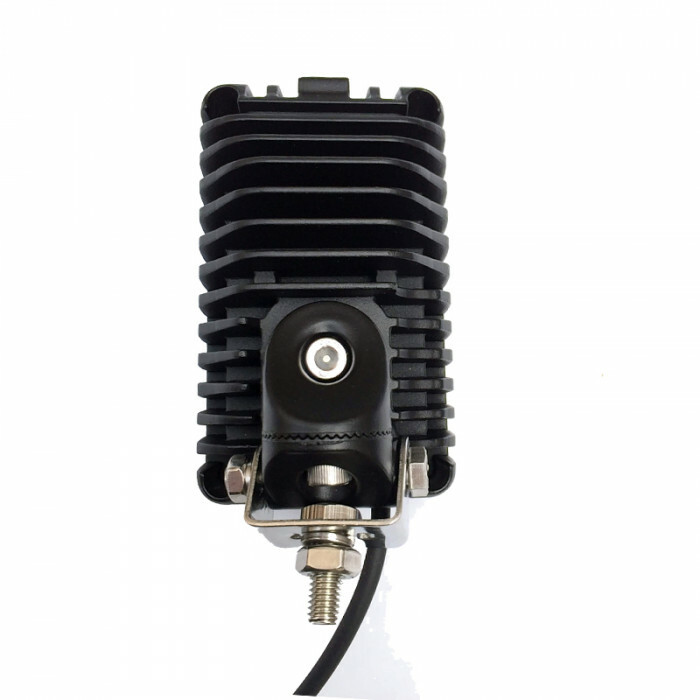 Suitable 12 and 24 volt vehicle. 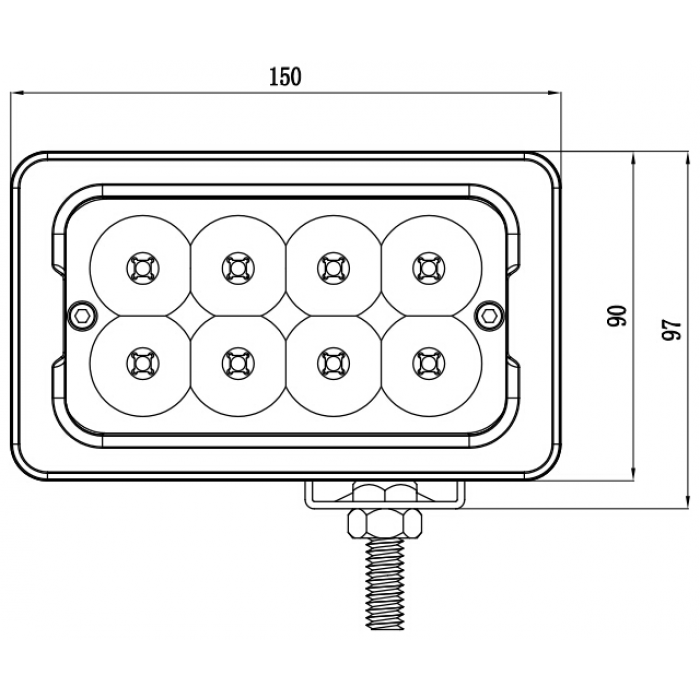 Deutsch connector and includes male plug on a short cable. Ideal for fitting to Case or New Holland tractor because can be side mounted.